Who says churches aren’t sustainable? 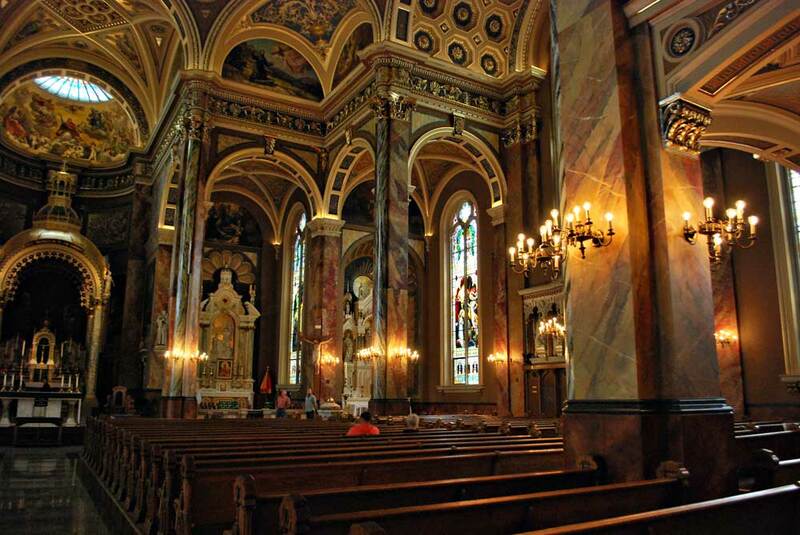 Last weekend we toured Doors Open Milwaukee and the top “must-see” on my list was the Basilica of St. Josaphat. Wow! Step inside this work of art and you experience sustainability in more ways than one. 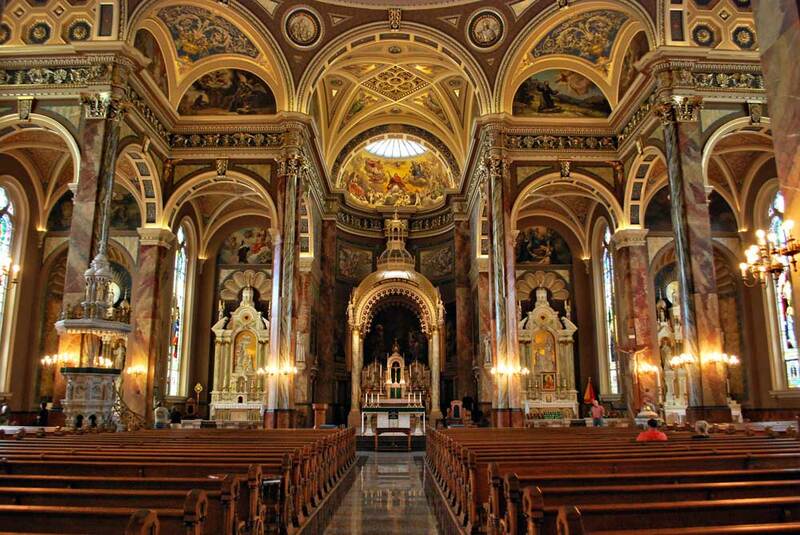 According to the basilica’s story, in the late 1800s Polish immigrants were pouring into this neighborhood of south Milwaukee and 12,000 of them were members of St. Josaphat. 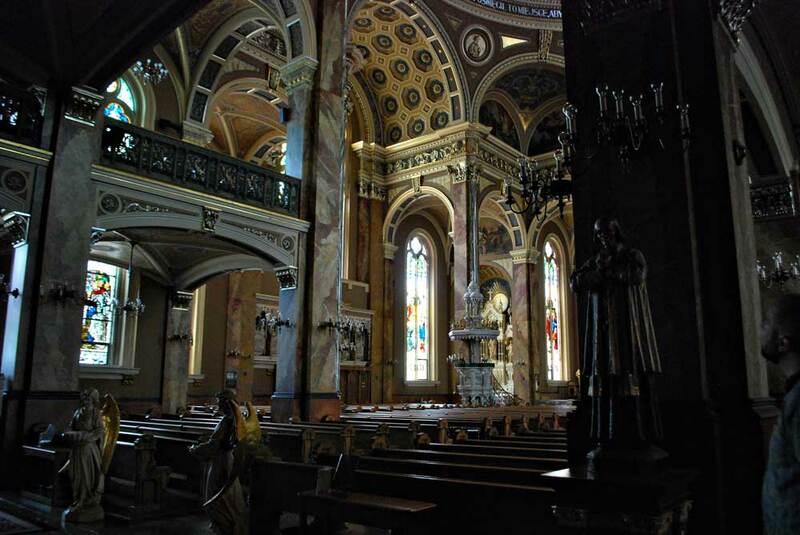 The parish’s Father Wilhelm Grutza sought a way to affordably build a larger church. 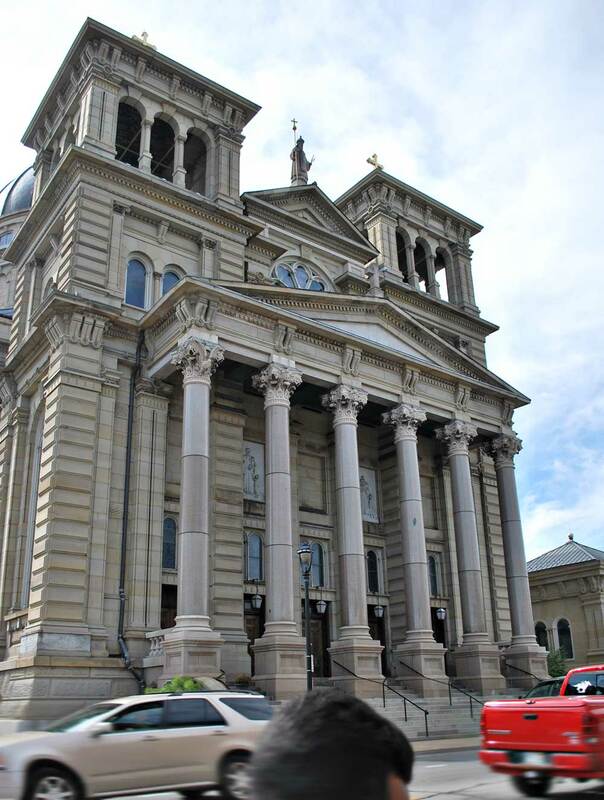 He learned of plans to demolish the Chicago Post Office and Custom House, so for $20,000 he was able to purchase the salvaged materials and have them shipped up to Milwaukee. From this the parish built its new church. It was completed in 1901. 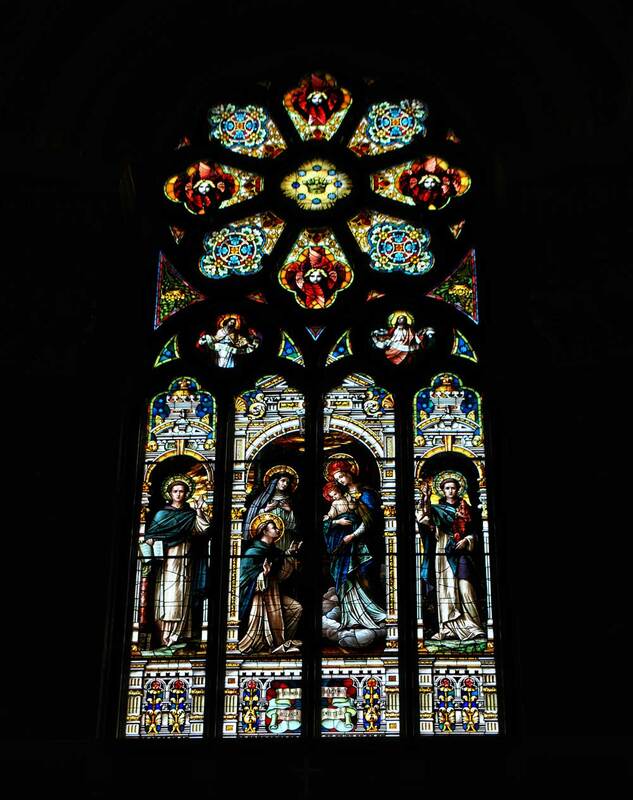 It’s often said that churches of old were believed to be portals to the divine, that their beauty helped prepare parishioners to the experience of worship. It this were true, Milwaukee’s doorway would open straight to the heavens. 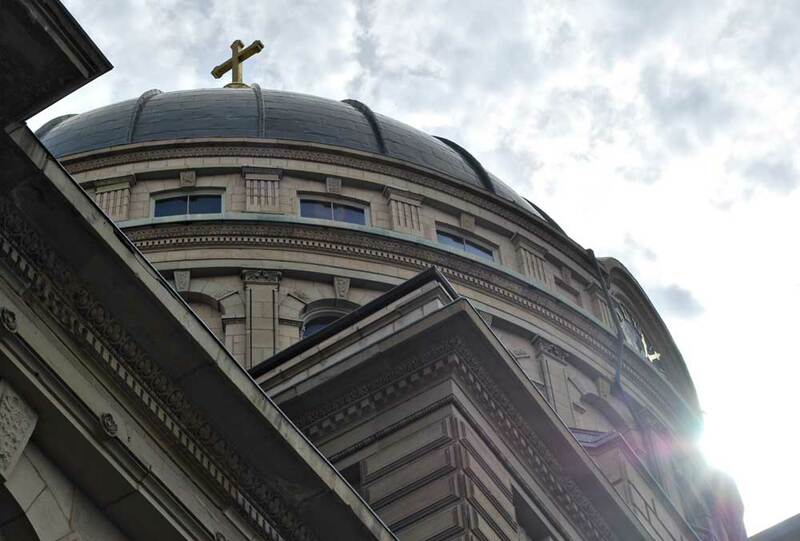 There is an exceptional number of stunningly beautiful churches in this city and as we stood outside St. Josaphat, we knew this was one of them. We were completely blown away! 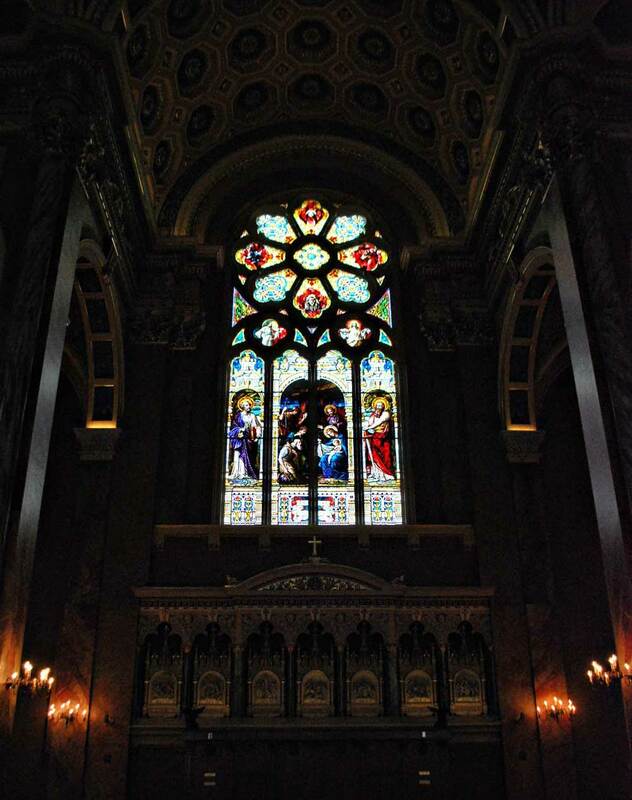 I’ve never been in European cathedrals, but this is how I imagine them to be—breathtakingly beautiful. 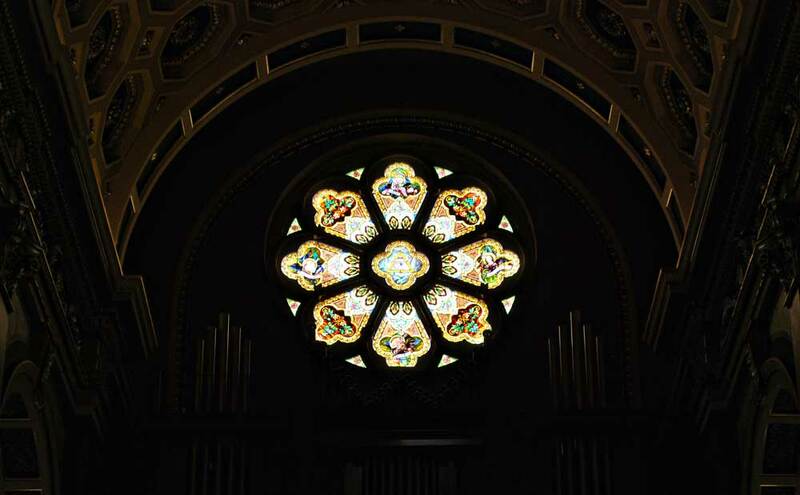 Over the years I’ve been accumulating a photography collection of rose windows. St. Josaphat added quite a few to my collection! I appreciate religious organizations that aren’t shy in promoting their history or their physical assets. 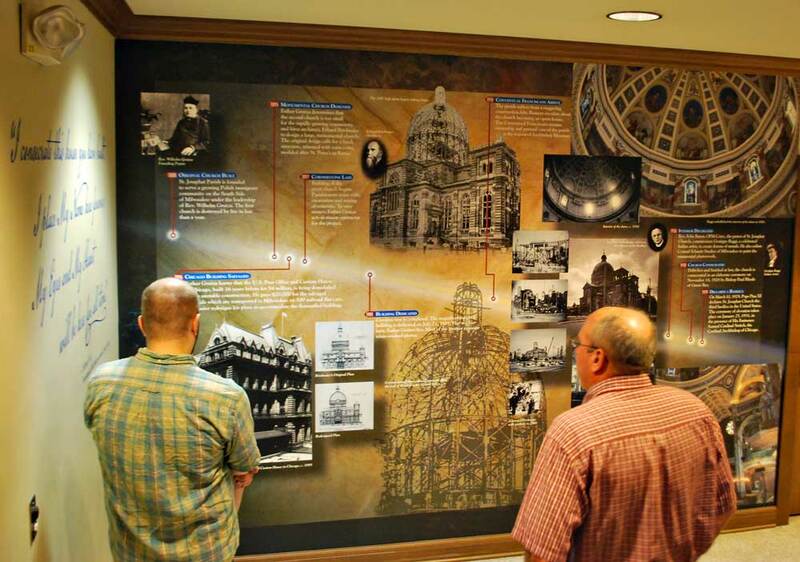 In a lower level of St. Josaphat, the parish displays a fascinating timeline of its structure. It’s a wonderful illustration of how much God has done for them and reminds members to be good stewards of their wonderful blessings! So that’s it folks, our day of Doors Open Milwaukee! Definitely a worthwhile time and one we want to do again next year!